Are you buying a job? Or are you buying a business? It’s often a dilemma for people in their prime to find themselves out of a job. Their first thoughts surround where their next pay packet is coming from. Perhaps with trepidation it’s a blessing in disguise. Now they can make that decision whether they should become THE BOSS at long last. So the search begins. Start my own, find a Businesses for Sale, Franchises, Distributorships…it’s a minefield. A decision that slowly narrows depending on need and available funds. Starting your own business can be very rewarding, but it does take a certain amount of expertise and results are not always guaranteed. It may take several years to realise the new businesses potential and invariably mistakes will be made along the way. Some will survive and become enormous success, many will fail in the first few years. The Australian Bureau of Statistics shows that some 42 percent of small businesses failed between 2003 to 2007 and some 30 percent since 2008. That does not account for the 1,095 businesses that were placed intoinsolvency in March 2009 or 1,123 businesses in February 2012, according to an ASIC report. Reasons for the failures range from lack of experience, poor financial control, and ineffective management and poor cash flow. Perhaps a better option for the would-be entrepreneur would be buy an existing business with a proven track record that can be further developed. However be prepared to pay not only for the assets of the business as well for the intangible goodwill of the business. This can be a considerable sum that needs to be recouped over many years from sales and profits. However management is usually in place, the business has figures that you can gauge its wellbeing from and sales and profits should follow past performances. Not a bad option for going into business, being your own boss and controlling your own destiny. Yet another option is buy into a franchise like a Jims Mowing, or VIP home services, or for that matter, (given enough capital) a McDonalds or a Pizza Hut. So with franchising when are you buying a job and when are you buying a business? Not an easy question to answer, but in general terms if you have a business that you can go on holidays from, for a period of time and that business can continue to run and earn you profits , you have a business. A McDonalds or a Pizza Hut is most probably a business. If you have a business that depends entirely depends on your labour for its income like grass cutting, dog wash, or a cleaning franchise, then you have probably bought yourself a job, not a business. With these low cost franchises (around the 20-30K) the maximum you can earn is in direct proportion to the amount of hours you can work in a day/week or however may lawns you can mow or dogs you can wash. Any day you take off is a day without income. So what can you earn from one of these low cost franchises? Around 50K/annum give or take. Not a lot for a business where you take all the risk and pay all the bills. Another option for a low cost business is to find one that has a low entry cost, some sort of a proven track record and potential for growth beyond yourself. A good case in point would be a MyKit Distributorship. 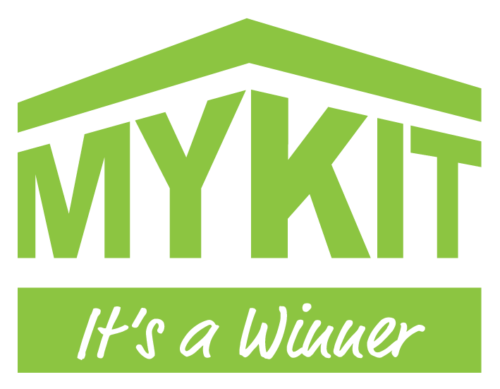 With a MyKit Distributorship you can have all the benefits of a low cost franchise with the earning potential and freedom of high end business or franchise. To use an analogy a MyKit Distributorship is like a car, complete in every detail that sits and awaits you as the driver. You decide how fast you want to go or where you want to go, in the knowledge that wherever you want to go and how far the MyKit Distributorship will get you there. The MyKit Distributorship suits the budding entrepreneur that needs a vehicle to drive them to success. Whatever vehicle you choose to go into business with do your due diligence, choose with care and caution as the decision that you make will get you a job or buy a business.